Heat oil in a wok or large frying pan. Add mustard seeds and cumin seeds (cover with a splatter guard as they start to pop). As they start to pop, (try keeping the pan mostly covered so you don’t get splattered on!) add the green chilies and garlic. Stir for 30 seconds. 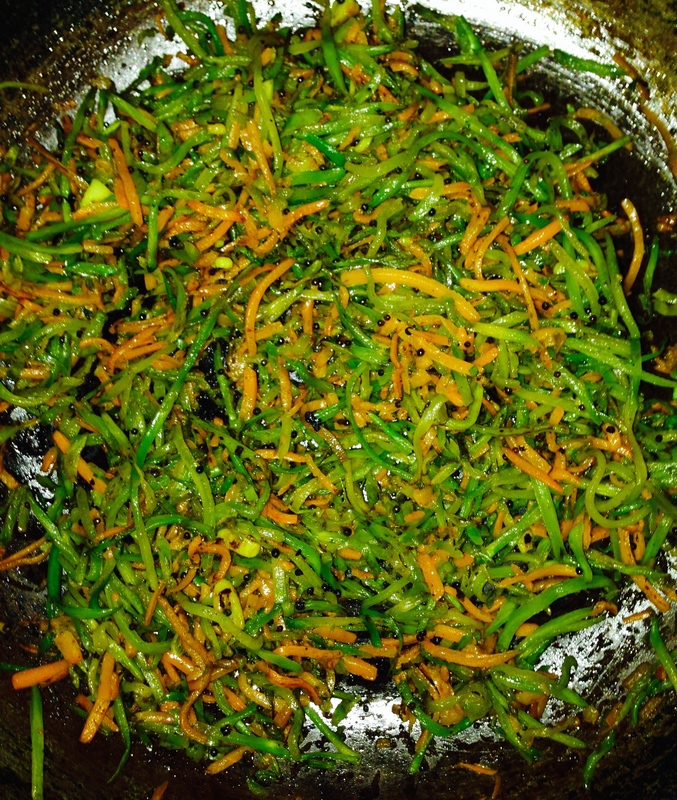 Add the broccoli slaw and salt, continue to stir fry over medium heat till the slaw softens but still crispy, about 5-8 minutes. Add the chickpea flour and stir constantly over medium high heat for about 2 minutes. Add the nuts and stir for another minute. 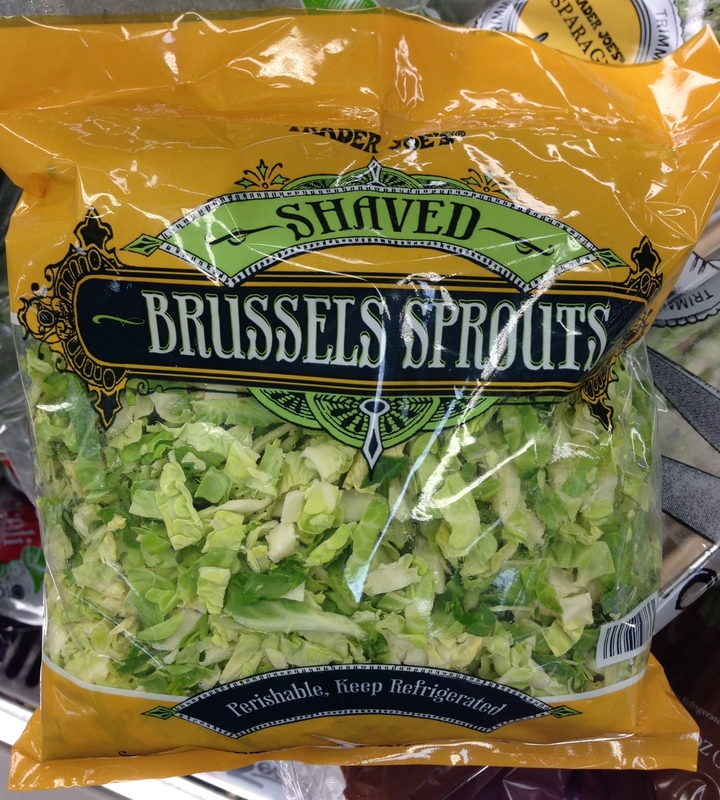 *Variation: Shaved brussels sprouts can be made using the recipe above.